Full of organic charm and neutral oak shades, from pale straw to dark amber tones, the Ruddington Oak would be at home in most interiors. The golden hues would bring a warmth to a more contemporary space while the worn appearance of the blocks would also suit a more rustic setting. 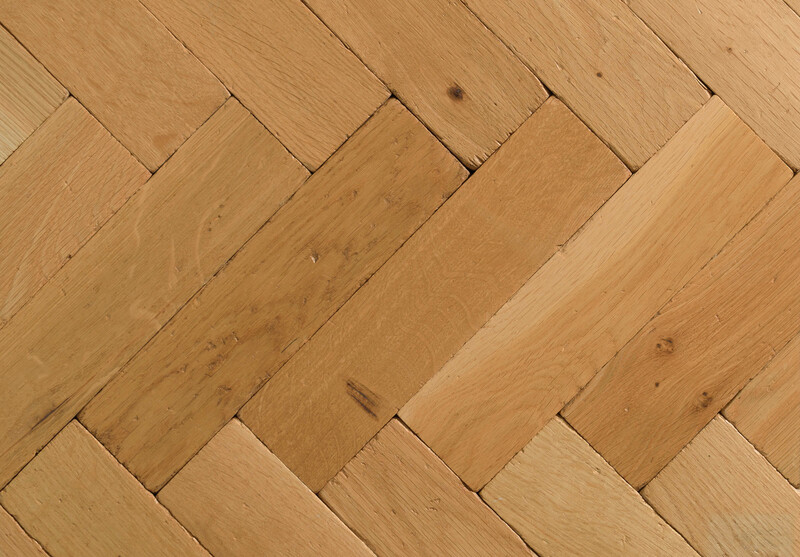 No two blocks are exactly the same, giving the appearance and charm of a traditional parquet floor. Our parquet blocks have been gently distressed, creating softly worn edges and subtle surface texture to give the appearance and feel of an age worn parquet floor. Suitable for use with underfloor heating, the parquet can be used throughout the home, and only needs to be finished with a topcoat of our Classic Hardwax Oil upon installation. As there is no need for sanding, the blocks are easier and less expensive to lay than unfinished or reclaimed parquet. Please note, the parquet blocks arrive to customers semi-finished, so will change appearance slightly and mellow once the hardwax oil is applied. Our samples arrive to customers fully finished, to give a true indication of the installed product.